"My Dearest Friend is not a history book. It is the intimate story of two extraordinary people that transcends history. That's a tale worth telling." ​John Adams - "Father of the Navy"
Their story and America's story told in a touching flashback using their own words through the wealth of their amazing correspondence from their courtship and throughout their long marriage. My Dearest Friend, by Mary G. Kron chronicles the true love story of the lives of John and Abigail Adams. 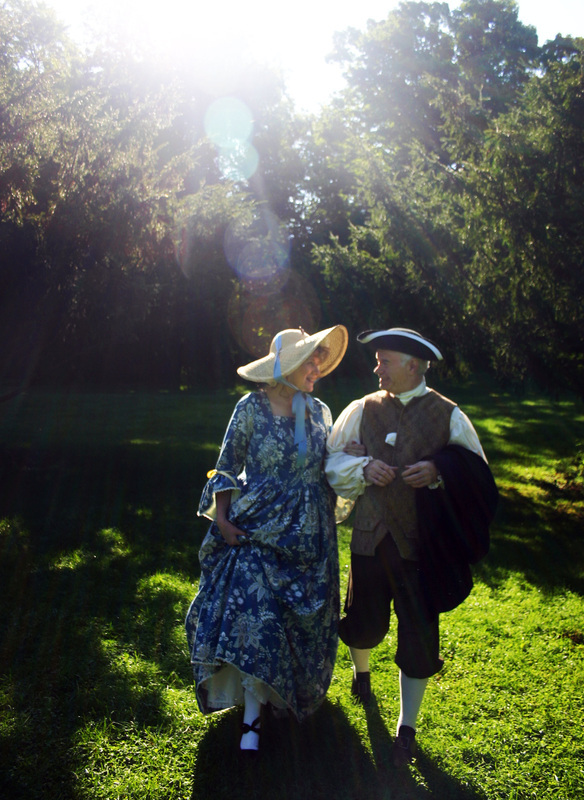 Using primary sources, Kron has created a touching flash-back of the high points of their life together through the American Revolution and beyond. This two-character play brings history alive in a new way. Feel the anxiety as Abigail witnesses the war at her doorstep, while John is in Philadelphia stubbornly trying to get Congress to agree to declare independency. Learn of their love for each other and the struggles of their many and long separations while John was making history at home and abroad and Abby kept the farm together and raised their children almost single-handedly. Discover how forward-thinking they were in matters of equality for women and the issue of slavery. Come to a deeper understanding and appreciation of American history as you join Gary E. Mitchell and Mary Beth Quillin for this stunning new play. Davenport University performance, September, 2012. Photos: Michael Croff. My Dearest Friend is both educational and entertaining. The one-act version is especially appropriate for middle school and high school assemblies. Adult audiences will enjoy the love, strength and remarkable relationship of this Founding couple, while learning new facts that they didn't learn in history class! Study guide and bibliography provided for teachers and students. Click to Download a copy. This production is a part of the MI Arts & Humanities Touring Directory. 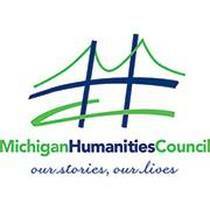 The 2018 - 2021 Directory is available online now on the Humanities Council website; www.michiganhumanities.org. Non-profit organizations that would like to host either the full length show or the one act version can apply for a Touring grant to help defray the costs of bringing us to your venue. Applications will be accepted during specific funding windows based on when the performance/exhibit will take place. *Non-profit Rate. For profit organizations add $35 for One Act or $75 for Two Act for My Dearest Friend to cover royalty fee. Dramagon Playwriting and Theatrical Services. Mary G. Kron comes to play-writing from over 30 years’ experience in the theater as a performer, director and instructor. She earned her BFA in Directing/Acting from Central Michigan University. Mary then pursued professional and community theater credits in the West Michigan area as both director and actor, also teaching voice, acting and musical theater. Mary began writing plays in response to the very specific needs of Grand Rapids Civic Theatre’s summer camps and performance classes. The very first script she submitted to a publishing house – Rock of Ages – was accepted and is available through Playscripts, Inc. Other scripts are available at Dramagon.com. In addition to GEM Theatrics, Mary’s scripts have been commissioned by the Grand Haven Library’s Historical Society, MomsBloom, and Grand Rapids Civic Theatre. Her plays have been produced by High Schools and Community Theaters around the country. With nearly 60 produced scripts to date, Mary divides her time between writing and Drama Dog Training LLC, her own canine instruction and boarding service.